Here’s an awesome Tallahassee Bite Squad Coupon Code! New customers can order from Bitesquad.com and enter code IMHUNGRY to get $15.00 off any order! 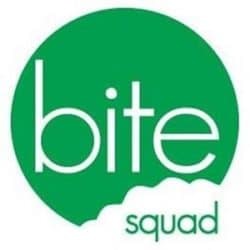 Bite Squad is the last place you’ll ever have to go online to order yummy cuisine for delivery or take-out. We’ve partnered with local restaurants, hand-picked our food lovin’ customer support squad, and wrangled up a fleet of environmentally friendly vehicles to get fresh food from the restaurant straight to your door, quickly and hassle free! Our unique 5-step status checker lets you see exactly what the deal is with your food at any given time…because you’re hungry, darnit!